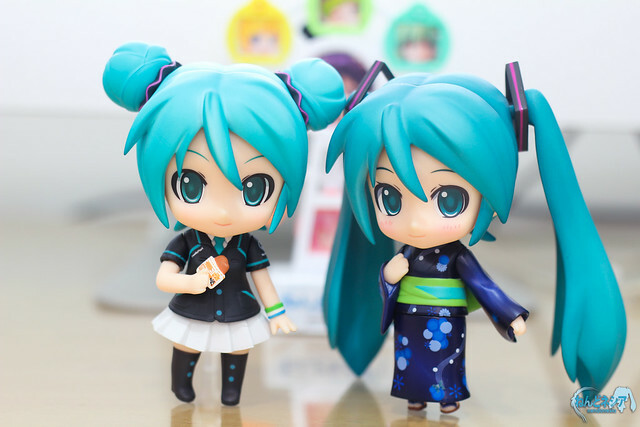 Technically, there are two edition of Nendoroid Hatsune Miku: Yukata version. The first edition was released during the 39’s CARAVAN Hakkeijima event back then on September 2012, while the other one was sold through web pre-order and scheduled for this month’s release. 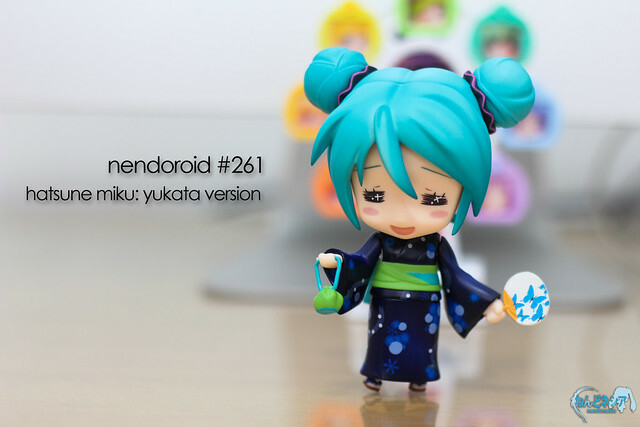 Note: This review is written based on the event edition of Nendoroid Hatsune Miku: Yukata version. 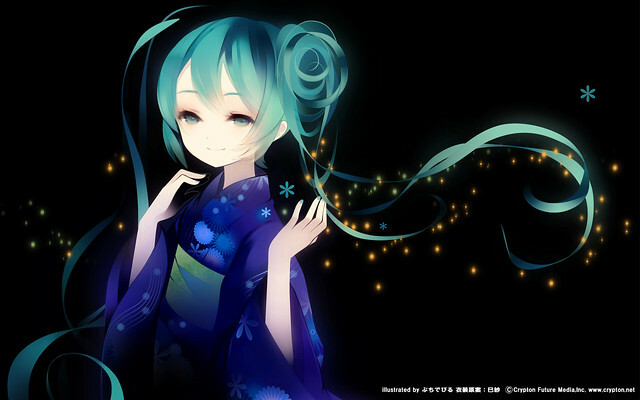 The original artwork for this Yukata Miku is illustrated by PuchiDevil [ぷちでびる]. 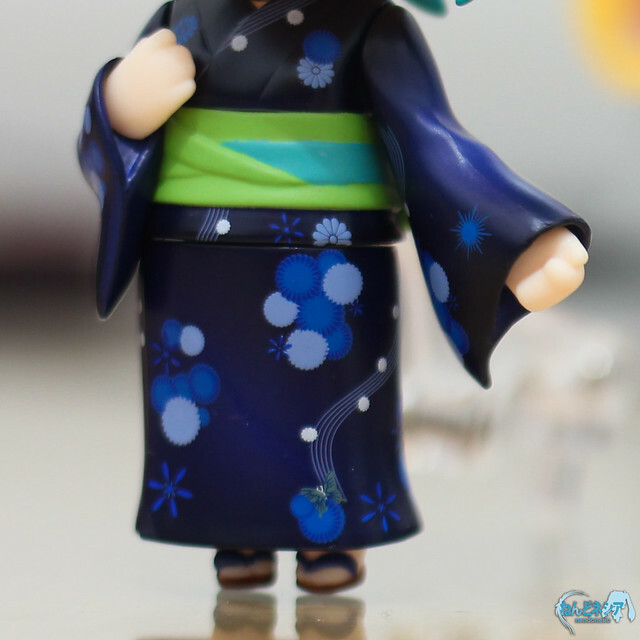 The unique double-sided high buns hairstyle combined with a cute Yukata are the main interesting points of this version of Hatsune Miku. 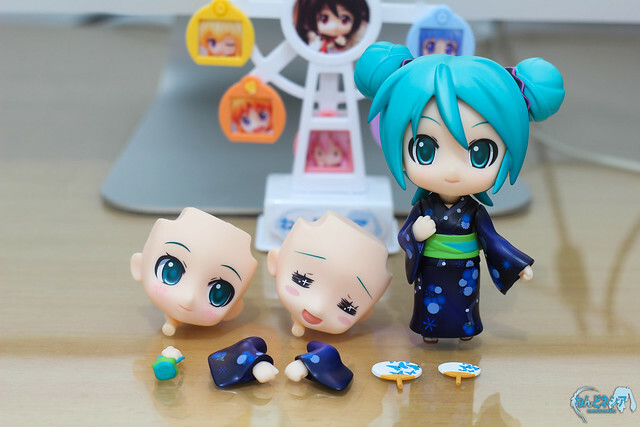 Well then, let’s see how the Nendoroid fared against the original illustration. 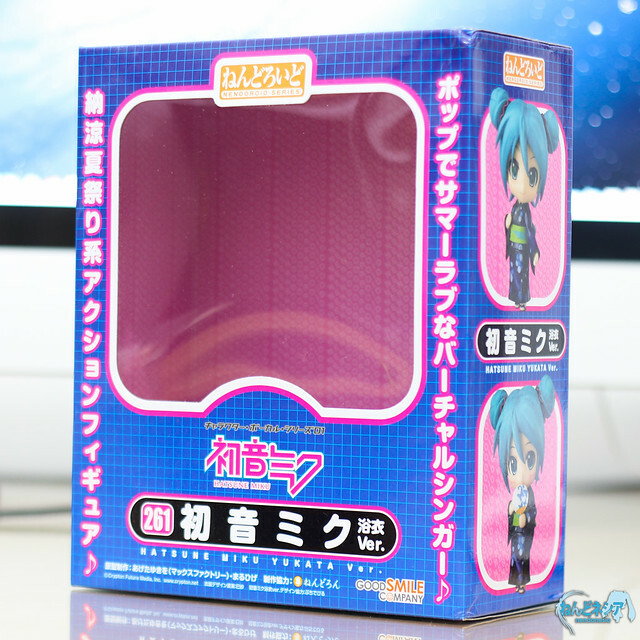 Similar to the other box design of Nendoroid Hatsune Miku variants (and other Vocaloid characters), there are grids printed on the box, although this time the color theme is blue and pink/purple. Not too shabby for 3000-Yen package, although it would be better if they included a sitting part like Nendoroid Yune and a bit more body parts like the similarly priced Nendoroid Makise Kurisu. 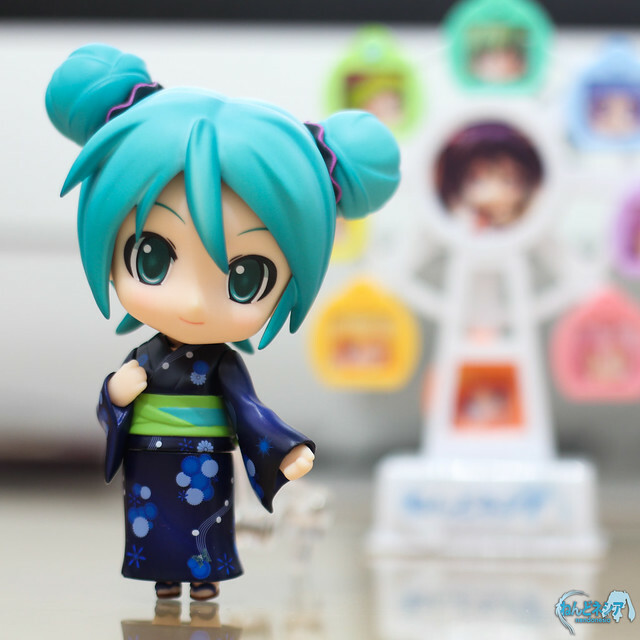 This small-sized fan is used as an accessory to be put on Miku’s back. Doesn’t it look really cute? In my own personal opinion, all of those features are really close enough to the original artwork as well. 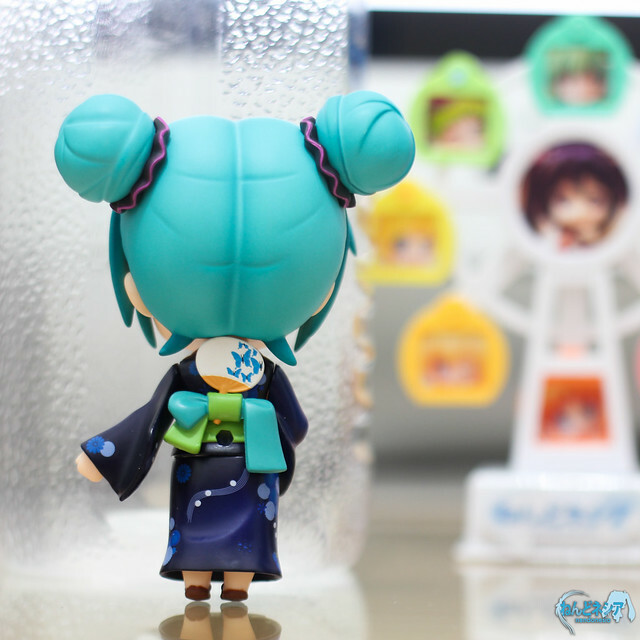 Look at the details of the pattern on the yukata and the fans – they are incredibly detailed and neatly reproduced in Nendoroid form! Design: 9 / 10 – Her outfit and hairstyle design look refreshing compared to the usual twin-tailed Miku, not to mention that they are adorable as well! Expression: 9 / 10 – Her embarrassed and chibi face are overloaded with cuteness. Now if only they replaced the normal/standard face with something else, it would be perfect! 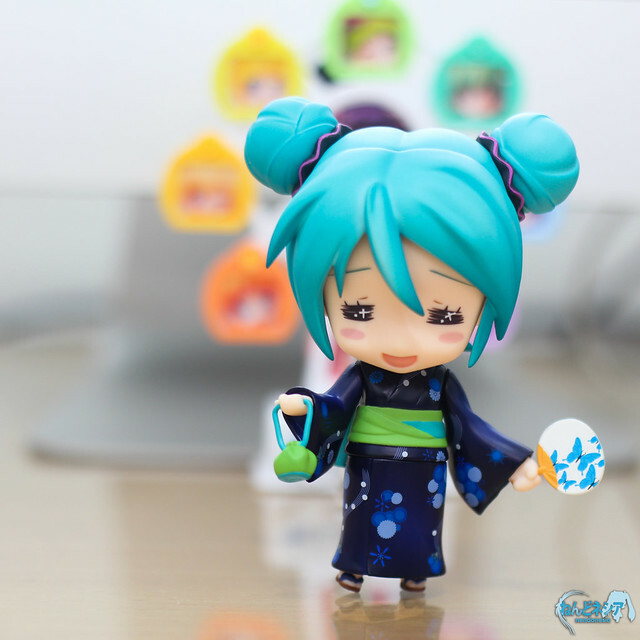 Playability: 8 / 10 – Lack of twintails means that we will not be able to get her to stand without the stand base, although it is hardly a deal-breaker. Price: 8 / 10 – I have no idea about the quality of the web pre-order version, but if it has the same feel and quality as the event version, then this Nendoroid is quite decently priced at 3000 Yen. 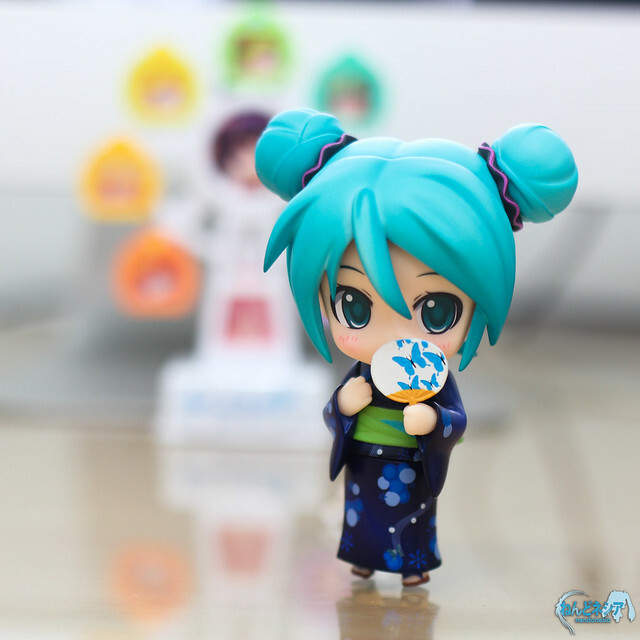 Thank you to StephenAQ for lending me the Nendoroid so that I can do this review. The review will be updated once I get my hands-on the web pre-order version later this month. So … what do you think, Nendonesian? 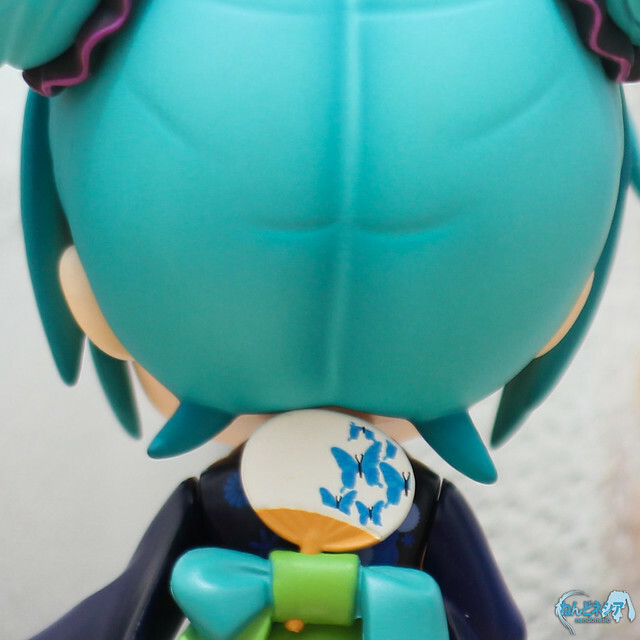 How many of you are anticipating this Nendoroid? 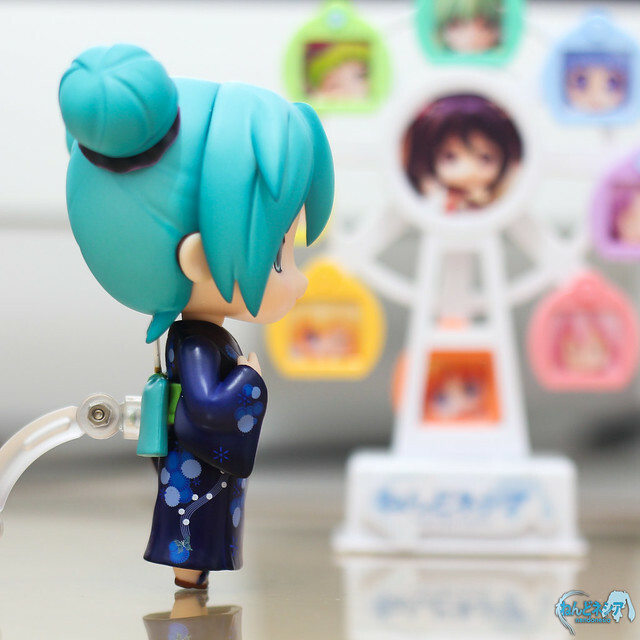 Oh … and have you seen this custom Nendoroid Yukata Miku and her companion summer playset? 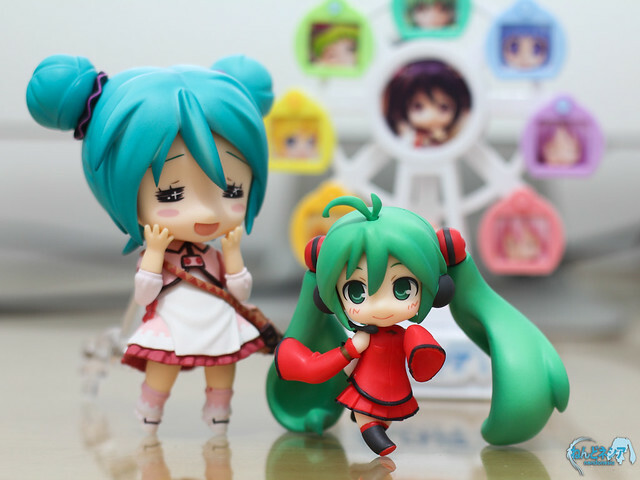 This entry was posted in Review and tagged hatsune miku, nendoroid, vocaloid. 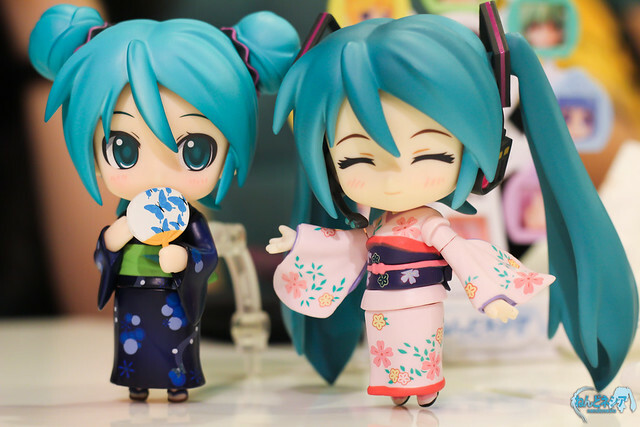 I can’t wait to get my Nendoroid Miku Yukata version. 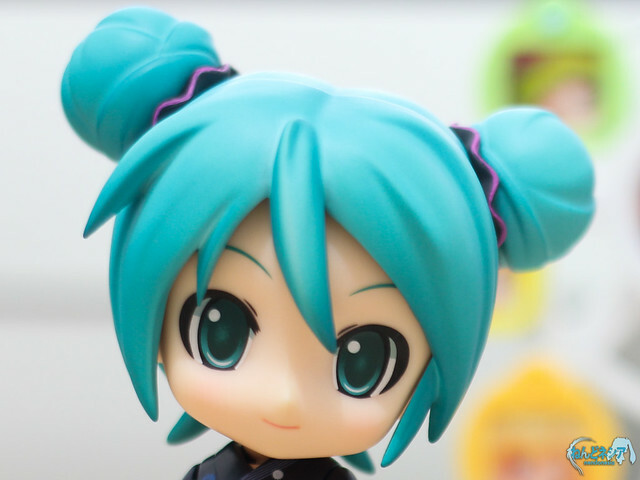 She looks super adorable and I think I prefer the twin buns over her usual twintails. 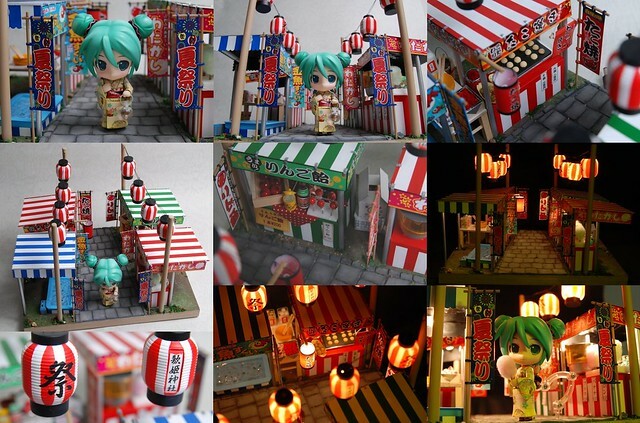 That custom made Nendoroid Yukata Miku is amazing!! Absolutely stunning. I love the display she comes with. I wonder how the creator made that. She’s just too cute!!! Mine shipped today!!! 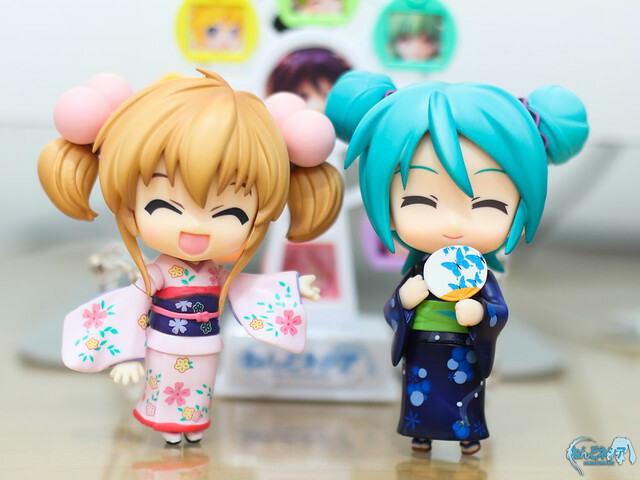 ^^ I hope she comes in time for my birthday!!! Without custom charges… Hopefully!! !